What’s driving where tiger sharks move within a shark sanctuary? The body condition and reproductive status of female tigers might give some clue, helping to identify important pupping areas. 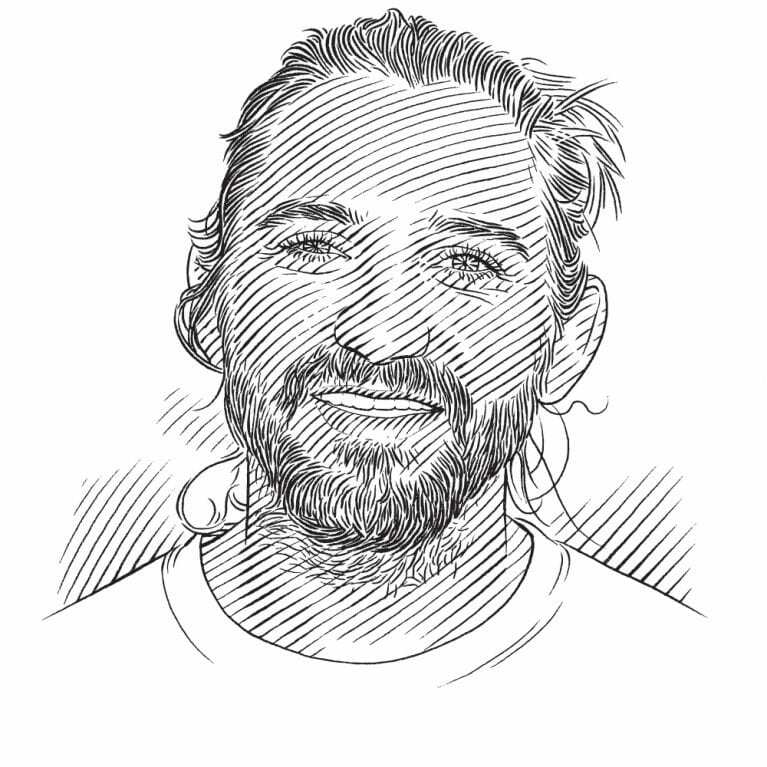 Matt is tracking where large, mature female tiger sharks are moving and combining that information with what is known about their body condition. I am a fisheries ecologist and avid outdoorsman. I grew up in rural Central Florida, spending much of my childhood at the local beaches and coastal rivers. With a mother who was a marine biology teacher, my interest in marine sciences was fostered at an early age. Satellite telemetry will be combined with ongoing research from BBFSF to provide an understanding of drivers for movement of tiger sharks within a shark sanctuary. Ongoing research is currently investigating reproductive status, body condition, and movement of juvenile and adult tiger sharks near Bimini, a hypothesized pupping ground. Shark sanctuaries and marine protected areas (MPAs) are capable of protecting sharks in large swaths of ocean, but less than 3% of the ocean is currently established as shark sanctuaries (Ward-Paige et al., 2017). Tiger sharks, and other species, are provided localized protection within the Bahamas Shark Sanctuary, but are documented readily leaving the sanctuary and venturing into waters where they are vulnerable to harvest (unpublished data, BBFSF). Movement information of mobile fish such, as tiger sharks, should be incorporated into MPA conservation efforts to better understand the scope of protection for focal species (Lea et al., 2016). Furthermore, understanding drivers of movement patterns is an important research avenue for conservation management (Hays et al, 2016). The proposed research will help to determine drivers of movement for a globally distributed, highly mobile apex predator and how future management can incorporate this data. Marine protected areas (MPAs) have the potential to help protect and even replenish some fishery stocks, but the level of protection varies based upon focal species and their life history traits. Mobile species, such as large sharks, may more readily venture outside MPAs for a variety of reasons, the drivers of which are not always understood. Tiger sharks are capable of moving among habitats across ocean basins (Afonso et al. 2017), as well as returning to certain locations, such as Bimini, on a reoccurring basis (Lea et al., 2016; unpublished data, BBFSF). Therefore it is important to understand the regional movements of this apex species, the drivers of this movement, and potential ecosystem implications. <br/>Understanding areas occupied by pregnant sharks, and associated pupping grounds, are particularly important facets of movement ecology (Heithaus, 2007; Driggers et al, 2008). Determining areas of parturition for tiger sharks is an important step for regional assessments of this species. Bimini, Bahamas is thought to be an important pupping ground, with near-term females and young-of-year tiger sharks caught during scientific longline surveys (unpublished data, Bimini Biological Field Station Foundation [BBFSF]). The extent and frequency to which pregnant and pupping tiger sharks occupy this area is unknown. Preliminary data from acoustic and satellite telemetry has shown female tigers display a wide range of residency to the Bahamas Shark Sanctuary. Some females remain nearly exclusively within Bahamian waters, but others have traveled thousands of miles to the southeastern USA, Gulf of Mexico, Caribbean Sea, and Western North Atlantic. This research will provide insight into role of reproduction, associated body condition, and the effect these have on movement of large female tiger sharks within the sanctuary. This Bahamas may serve as a model for effective sharks conservation, especially during key life stages of large, mobile species. Determine movement of female tiger sharks within the Bahamas Shark Sanctuary. Determine how reproduction influence the movements of tiger sharks. Determine how body condition is related to reproductive status of tiger sharks, and how this influences movement.